Allan Quartermain by H. Rider Haggard the last novel of this Allan Quatermain series. This book is no so popular unlike first book of the series, King Solomon’s Mines . Still it’s a great novel which is full of adventures, romance, remote Africa, ancient lost civilizations. Rider Haggard is founder of lost world type novels. His novels are great and you can put same level as today’s thriller novels. At the beginning of this adventure Quatermain has lost his only son and longs to get back into the wilderness. Having persuaded Sir Henry Curtis, Captain John Good, RN, and the Zulu chief Umslopogaas to accompany him they set out from the coast of east Africa into the territory of the Masai and while staying with a Scottish missionary are attacked by a group of these tribesmen whom they overcome with heroism. There follows a voyage by canoe along an underground river to a lake in the kingdom of Zu-Vendis on the other side of a range of mountains. The Zu-Vendi are a warlike white race entirely isolated from other African races and when Curtis and Quatermain’s party arrives are ruled jointly by two sisters, Nyleptha and Sorais. The priests of the Zu-Vendi religion are hostile to the explorers but they are protected by the queens: however both fall passionately in love with Curtis and this together with the rejection by Nyleptha of the nobleman Nasta results in a civil war between them (Sorais and Nasta’s forces against those of Nyleptha, Curtis and Quatermain). After a battle in which Queen Nyleptha’s forces are outnumbered she is nevertheless victorious but then threatened by the treachery of the priests who plan to murder her in the palace. Umslopogaas and one loyal warrior manage to save her from this, killing Nasta and the chief priest Agon in the Fight on the Stairway. Sorais, defeated and jealous, takes her own life: Nyleptha and Curtis become King and Queen and Quatermain dies from a wound suffered in the battle. This is the ending novel of Allan Quatermain series since he dies at end of the story. 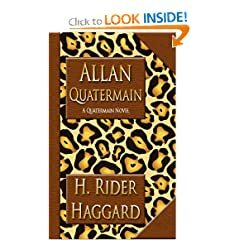 Rider Haggard is one of my favorites authors and I enjoyed his all novels of Allan Quatermain series. If you like those Lost world genre books and also historical adventure novels you are gonna love this book. The Clan of the Cave Bear by Jean M. Auel is the first novel of The Earth’s Children’s Series . I’m a thriller and comedy novel fan so I don’t remember why did I get this historical fantasy fiction. I don’t think The Clan of The Cave Bear is a fantasy novel but it’s a realistic Prehistoric fiction. The Clan of The Cave Bear is full of vivid details of prehistoric cave dwellers, animals and romance and their life style. Jean Auel‘s written in The Clan of The Cave Bear way it keeps you bind to the book still you finish reading. It’s a kind of big novel but which you can enjoy start to end. When her parents are killed by an earthquake, 5-year-old Ayla wanders through the forest completely alone. Cold, hungry, and badly injured by a cave lion, the little girl is as good as gone until she is discovered by a group who call themselves the Clan of the Cave Bear. This clan, left homeless by the same disaster, have little interest in the helpless girl who comes from the tribe they refer to as the “Others.” Only their medicine woman sees in Ayla a fellow human, worthy of care. She painstakingly nurses her back to health–a decision that will forever alter the physical and emotional structure of the clan. Although this story takes place roughly 35,000 years ago, its cast of characters could easily slide into any modern tale. The members of the Neanderthal clan, ruled by traditions and taboos, find themselves challenged by this outsider, who represents the physically modern Cro-Magnons. And as Ayla begins to grow and mature, her natural tendencies emerge, putting her in the middle of a brutal and dangerous power struggle. The Clan of The Cave Bear is story which take you 35,000 years back into history. 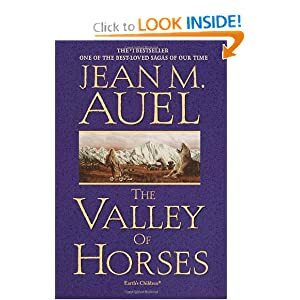 Jean Auel explains prehistoric peoples life styles beautifully in this story and make you want to read the next book right away. The Clan of The Cave Bear is full of adventure and it let readers see through the past, on how early humans (cro-mags) live their life. Their cultures, beliefs, custom and tradition. You won’t regret taking this lovely prehistorical novel. You can read Reviews of Amazon.com customers and see how highly they have rated Jean Auel‘s The Clan of The Cave Bear and other books of Earth’s Children series.